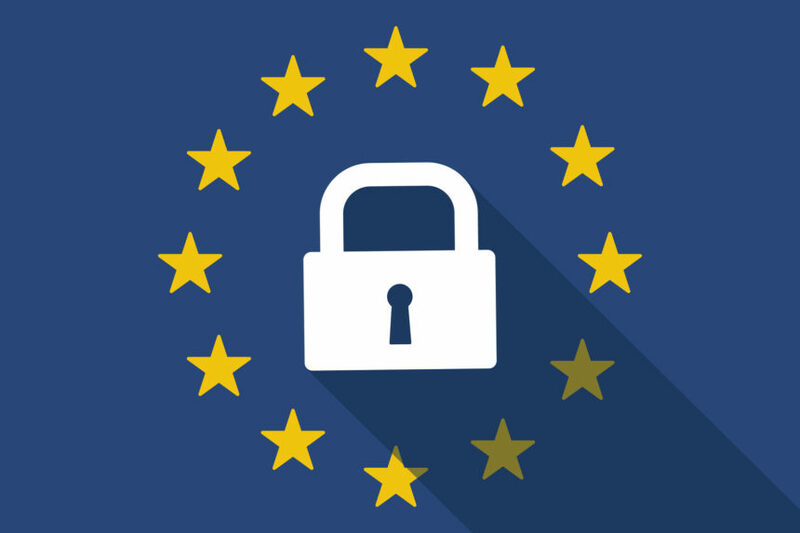 The EU General Data Protection Regulation (GDPR), which takes effect on 25th May 2018, could prove to be a catalyst to change the existing haphazard approach to print security. 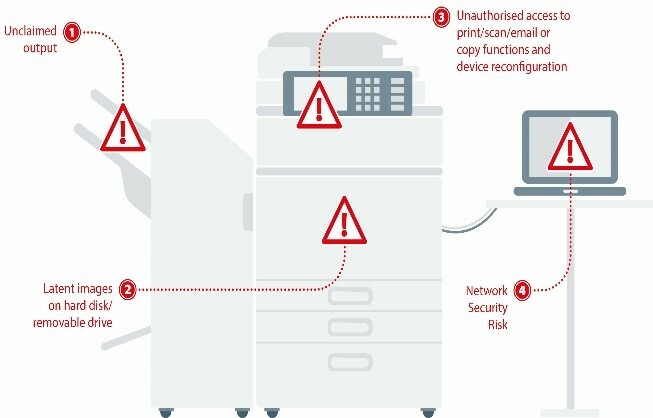 Networked printers and multifunction printers (MFPs) are often overlooked when it comes to wider information security measures. Yet these devices store and process data, and as intelligent devices have the same security vulnerabilities as any other networked endpoint. With Quocirca’s recent research revealing that almost two thirds of large organisations have experienced a print-related data breach1, organisations cannot afford to be complacent. The biggest incentive to rethink print security is the substantial potential fines imposed by the GDPR. Infringement can attract a fine of up to 4% of total global annual turnover or €20m (whichever is the higher). From 25th May 2018, any organisation that controls or processes personally identifiable information about EU citizens must have stringent organisational and technical measures in place (i.e. ‘privacy by design’) to comply with the GDPR. While GDPR is an EU regulation, it effects any organisation that handles the personally identifiable information of an EU-based individual, whether or not the organisation is based in the EU. The GDPR sets out a range of measures an organisation must take to protect personal data, including the appointment of a data protection officer where necessary, and the maintenance of detailed documentation to prove compliance.The GDPR focuses on the concept of accountability, shifting the burden of proof from individuals to organisations. Organisations must now demonstrate they have taken the right, pre-emptive actions to protect personal data appropriately. Also included is the need to have robust procedures in place to detect and investigate personal data breaches as well as report them within 72 hours to a relevant authority and in high risk cases to affected individuals. The GDPR also mandates the performance of a Data Protection Impact Assessment (DPIA). Organisations must formally establish how they process, store, share and dispose or personal and sensitive information and apply appropriate organisational and technical measures. GDPR (Article 32) motivates an organisation to find, implement and revise effective security measures in response to the rapidly changing threat landscape. While some organisations will implement technical measures directly, others will turn to third parties to help protect their data from unauthorised use, access, loss and corruption. Amongst the variety of technical and organisational measures enforced by the GDPR, is the need to protect personal data against unauthorised processing and accidental leak and theft. Preventing unauthorised access to electronic communications networks and the distribution of malicious code is a key part of GDPR’s network and information security requirements. As such, organisations need to demonstrate complete control over information security in order to adhere to GDPR. With many organisations still reliant on printing to support key business processes, it is essential that any meaningful measures towards GDPR compliance must take into account protection of networked printers and MFPs. Today’s smart MFPs have evolved into sophisticated document processing hubs that in addition to print and copy, enable the capture, routing and storage of information. However, as intelligent, networked devices, they have several points of vulnerability. A printer or MFP, is effectively an Internet of Things (IoT) device and as such, left unsecured, is an open door into the entire corporate network. Without the appropriate controls, information on the device, in transit or on the device can be accessed by unauthorised users. The risks are real – recent Quocirca research indicating that almost two thirds of large organisations have suffered a print related data breach. There are two key issues – the printer/MFP as an access point to the network, and the printer/MFP as a storage device for “personally identifiable information” (PII). As critical endpoints, printers and MFPs must be part an overall information security strategy. This should ensure that all networked printers and MFPs are protected at a device, document and user level. This means, for instance, that data is encrypted in transmission, hard drives are encrypted and overwritten, print jobs are only released to authorised users and devices are protected from malicious malware. Many organisations may believe that they are covered by existing technology, but in many cases this does not protect against the latest threats. Consequently, operating a large, mixed fleet of old and new devices, can leave gaping security holes. Given the complexity of print security in large organisations, particularly those with a diverse fleet, Quocirca recommends seeking guidance from vendors that understand the internal and external risks and the risk of unprotected data on printer/MFP devices. Organisations should select vendors that can address both legacy and new devices and offer solutions for encryption, fleet visibility and intelligent tracking of all device usage. This should ensure the ability to track what information is being printed or scanned, for instance, where and on what device, therefore enabling faster breach remediation. Managed print service (MPS) providers should be the first port of call, as they are best positioned to advise on print security technology. The emergence of advanced managed print security services (offerings vary from vendors that include those from HP, Lexmark, Ricoh and Xerox) aim to improve resilience against hacking attempts on devices, rapidly detect malicious threats, continually monitor the print infrastructure and enhance security policies and employee awareness. Assessment: A full security assessment of the printer infrastructure to identify any security gaps in the existing device fleet. This should be part of the broader Data Protection Impact Assessment (DPIA) that an organisation may conduct internally or using external providers. Recommendations can be made for ensuring all devices use data encryption, user access control and features such as hardware disk overwrite (the erasure of information stored on the MFP hard disk). Also look to use endpoint data loss prevention (DLP) tools at this stage to gain insight as to what likely PII could be transferring via an MFP (for instance scanning personal information via the MFP to email or cloud storage). Monitoring: In order to monitor and detect breaches, ongoing and proactive monitoring ensures devices are being used appropriately in accordance with organisational policies. More advanced print security controls use run-time intrusion detection. Integration with Security Information and Event Management (SIEM) systems can help accelerate the time to identify and respond to a data breach, which is key to GDPR compliance. Consider third-party managed services support in order to streamline data logging and security intelligence gathering. Reporting: GDPR’s demanding reporting requirements can be addressed through reporting usage by device and user. This will highlight any non-compliant behaviour or ‘gaps’ in controls so that they can be identified and addressed, and allow audit trails to be created to support the demonstration of compliance. GDPR is a reminder that organisations should proactively assess their security position. Organisations must move quickly to understand the legislation and put appropriate measures in place. Ultimately print security is part of a broader GDPR compliance exercise, and it is vital that organisations act now to evaluate the security of their print infrastructure. Excellent article very well grounded. It’s been over 6 months now that I’ve been embracing this opportunity for companies to adopt new methods of print stream security but it’s not easy. Thank you!